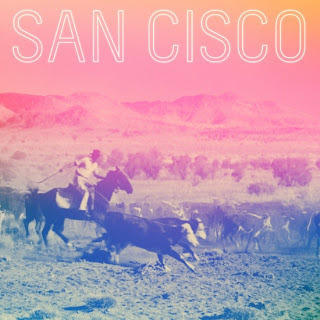 Atlas and the Anchor: San Cisco - "San Cisco"
Australian indie-pop band San Cisco just released their self-titled debut album on July 16 via RCA Records in the United States. It was previously released by Fat Possum Records in Australia last year to great praise from both critics and fans alike. The young four-piece band consists of lead vocalist and guitarist Jordi Davieson along with Josh Biondillo on guitar, keyboards, and vocals and the tight yet spastic rhythm section of bassist Nick Gardner and drummer/vocalist Scarlett Stevens. Their strange name doesn’t reference the city or anything else for that matter, giving the band a blank slate. 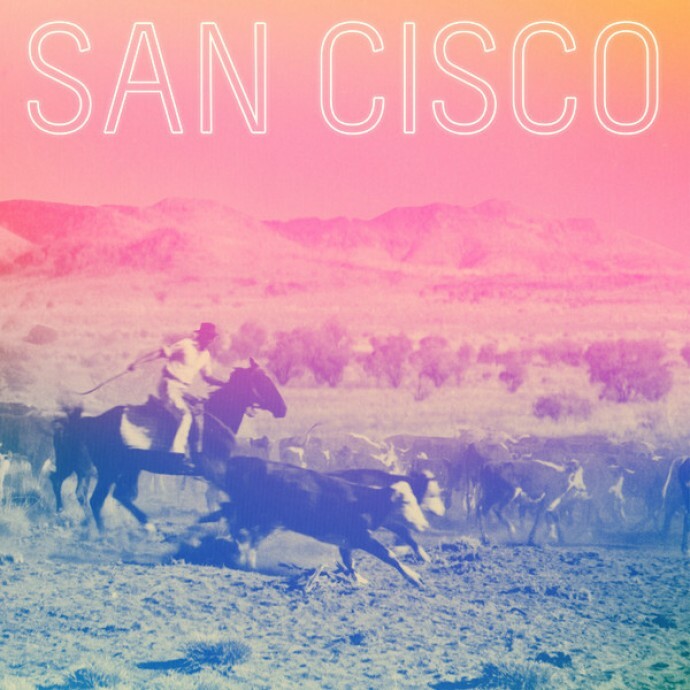 Together they create a youthfully jubilant pop-leaning brand of jangly indie rock that is packed to the brim with infectious, sunny melodies that are spray-painted with colorful synths and danceable rhythms. The album opens with the rumbling 80’s-inspired synth bass, glittering keys and soaring chorus of “Beach” and is followed by the standout single, “Fred Astaire” which is just as catchy as the man himself cutting a rug. Also included are beefed-up recordings of previously released singles; the stalker-baiting “Awkward” with its cowbell-infused rhythm and deliriously catchy sing-along chorus and the folksier “Rocket Ship” with its shuffling beat and big, piano chords, handclaps and even bigger, rafters-reaching chorus. New song, “Hunter” really plays up their comparison to Vampire Weekend with Jordi’s sun-soaked vocals recalling Ezra Koenig’s distinct voice yet without coming off as a copycat. “Wild Things” is highlighted by a rubbery rhythm as some psychedelic synths wash over the fun vocal melodies for another standout moment. The anthemic “No Friends” is a revved-up punk number complete with a choppy rhythm and a short guitar solo just for the heck of it. One of the album’s best surprises comes in the form of the warped, Muppets-like doo-wop vocals and pounding piano of “Lyall”. Slowing down a little bit, is “Metaphors” with its elastic guitar lines and infectious vocal harmonies. Next, the 80’s post-punk-inspired electro-pop of “Mission Failed” shows off their impressively diverse range with its cosmic synth blasts and brooding beat. Jordi lets loose with his unhinged vocal histrionics on the upbeat “Stella” which also features some more crazed and cartoonish background vocals that are way more fun than they are annoying. Closing out the very promising thirteen-track album are “Nepal” and its thumping beat, synths and emotionally-charged vocals; and the short instrumental, “Outro”, which sounds like elevator muzak beamed from outer space.